An orphan is defined in the dictionary as a person who has lost his or her parents. Orphans are usually children, who are then brought up by grandparents or other relatives. But many of my friends are orphans. I have outlived all their parents, and while I am 91 and many of them are in their 60s and even 70s, I think of them as orphans. They are all of my children’s generation. In 2014 as I was about to turn 88, I decided to throw a party for myself. With all the friends I used to party with in my younger days long gone, I decided to invite their children to my party. It would be a party for orphans — and their spouses or significant others. That year I invited 16 of the children of my deceased friends. 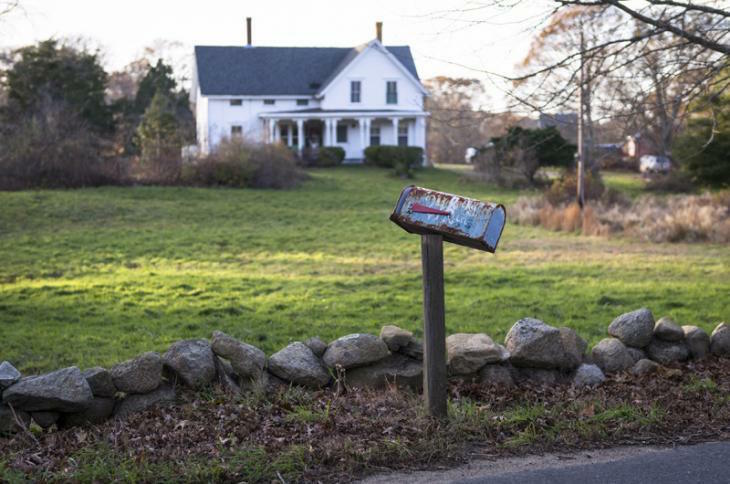 All had grown up on the Vineyard and still lived here and most had been born on the Island. Some had left the Island and then returned, and some had returned to live out their retirement years here. A few had been summer kids whose parents I had known, but most had grown up near our home in West Tisbury. We had a real neighborhood in those days. The kids rode horseback together, swam in our pond together, skated on that same pond in the winter, went to the same one-room schoolhouse together and explored the woods across the pond. There was always someone to play with close by. Sadly, today there are no children in the homes on Music street. The friends of my children who stayed on the Vineyard are raising — or have raised — their own children. Some are practicing grandparents, so they don’t get to see each other often. I thought my birthday party might be a way to bring them all back together. The first year I made lobster salad and bought tiramisu for dessert; the guests brought appetizers and salads. It was a real West Tisbury potluck party. While we sat around drinking wine and munching bluefish pate, I told them each an anecdote about their parents as I knew them long ago. I have found throughout my long life that most children pay little attention to their parents’ activities or early life. It seems to not occur to them that their mothers and fathers had a life before they were born. It was a great party. The second year I decided to do it again. This time it was a pizza party. We added my granddaughter Caroline and her new husband Daniel to the list as they are living with my son Jack and his wife Betsey. Instead of telling anecdotes about their parents, I went through my 40-odd family photo albums and enlarged a photograph from each of them. There was Laura at age one, Jimmy and Jack in their tent about age 12, Tom, all dressed up for a portrait when he was about 10, Mike and Pookie on their wedding day. This month I will turn 92, secure in the care of my daughter Deborah. I recently reread my favorite book of all time — Gift from the Sea by Anne Morrow Lindbergh — and found it still relevant to today’s world. I was delighted to find I had written down the year I bought it, the year it was published, 1955. I was 29 then, married eight years with a son and a daughter. Anne Lindbergh was 49 and she had had five children, the first of whom had been kidnapped and killed in 1932 at the age of 20 months. About 20 years later, she wrote this sensitive book on what it is like to be a woman. Solitude, and the lack of it in a woman’s life, was the main theme. It is still true today, and when I discovered that few of my children and those of my friends had read it, I decided to give a copy of it to all of the women who came to my party. Although there were more famous orphans in the past — Louis Armstrong, Marilyn Monroe, Babe Ruth — they didn’t have a past that connected them, as my birthday guests do. In fact it is probably quite unique these days. I became an orphan at 51. I am almost 80 now, and it hasn't gotten any easier. I miss my parents terribly, especially my Mom. We are a forgotten lot, thank you for remembering and celebrating us. This is a wonderful way to celebrate your birthday. I recently became an orphan at the age of 60 and find it difficult to navigate my new existence. I miss my parents greatly. Your sharing memories of years gone by with your family and the relatives of your childhood friends is priceless. Beautiful sentiments. What a kind and generous gesture to invite all descendants of friends from long ago. Shirley, you are a beautiful soul. God bless you. I love this. I’m an orphan too. How well-written this is. Gives me hope that maybe I can/will someday finish my book about a fine man born on MV in the early 1700s. And...great party tips too! How about another essay? Thank you. What a lovely essay from a beautiful woman, a wonderful writer and a most remarkable neighbor. Mrs. Mayhew, You are an inspiration to me. 62, and pondering how to make the most of what's left, and the uncertainty of not knowing how long that will be, I hope that if I make it to 92, I will be able to write as beautifully and with as much clarity about the gift of life as you do. I read A Gift from the Sea years ago. I'm going to give copies to my step daughters. The plight of orphans, a status I reached a while ago in my mid 50s, is tough. Shirley Mayhew has such a big, bright and giving soul! Shirley, you are a wonderful teacher and writer of life's blessings. Keep your stories coming! Happy birthday, dear Shirley, and thank you for this. SPENT MANY SUMMERS ON THE ISLAND WHEN WE LIVED IN CT. BUT NOW THAT WE HAVE LIVED IN ARIZONA ONLY ONCE. MISS EVERYTHING ABOUT IT!!!! AND YES FAMILY LOSS CHANGES EVERYTHING UNTIL I THINK WE ARE THE OLD GENERATION NOW AND THE FAMILY WILL EXPAND WITH NEW MARRIAGES AND BABIES. WHY DOES THAT COME AS A SHOCK?? I became an orphan at age 56 in 2009, when my parents died within 18 days of each other. My Mom died on her 96th birthday! I am an only child, but my wonderful man-friend and I toast them on their birthdays. They enjoyed visiting me during the years when I lived on the Vineyard and worked at the Gazette. Thank you, Shirley Mayhew, for your moving essay.